BEEF exports during August continued at high levels, in line with high rates of drought-forced cattle slaughter that has extended later into the year than what many had anticipated. August’s export volume of 106,921 tonnes is easily the highest monthly figure this year, and appears to be the biggest number since December 2015. A recent mid-year industry projections update issued by Meat & Livestock Australia showed the strength of beef kills during the first half of the year. Ongoing drought conditions across NSW and parts of Queensland combined with a surge in female turn-off prompted MLA to lift its forecast for 2018 calendar year adult slaughter to 7.8 million head, 9pc higher than the previous year total. For the first six months of 2018, adult cattle slaughter totalled 3.1m head – a year-on-year rise of 11pc. The trend was clearly reflected in last month’s export trade, which while only 1.7pc higher than July, but up a significant 8.3pc on August last year. Some carry-over of stocks in cold storage in July may also have occurred, a trade source said. For the eight months of the 2018 calendar year to date, beef exports to all markets have now reached 748,811t, a sharp 12.6pc rise year-on-year. Results in major export markets were mixed, with the North Asian customers of China and Korea being the stand-out performers last month. Largest export market by volume and value, Japan took 27,610t of Australian chilled and frozen beef in August – down 8.5pc from a particularly busy trade in July – but last month’s figure was similar to this time last year. Year-to-date, Japan has taken almost 212,249t of Australian beef, up 16,000t or 8.3pc on last year, despite strong export competition out of the US. 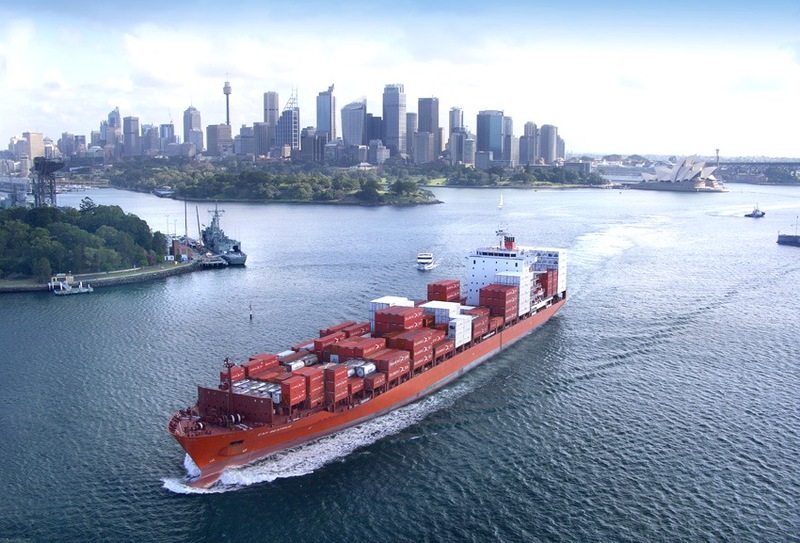 Australia’s exports to the United States in August topped 23,030t, virtually the same as July, but down about 10pc on last year. The enormous surge in US domestic beef production this year (in addition to booming production in competing proteins like chicken and pork) is the primary cause, as more US cows come to market, and fed cattle numbers remain extremely high. Higher US cow kills diluted demand for Australian lean grinding beef, traders said. USDA’s recently-released mid-year herd and feedlot inventories showed cattle on feed on 1 July totalled 11.28 million head, up 4.3pc year-on-year and 8.9pc above the five-year average. Australia’s calendar year to date exports to the US show the same trend, reaching 160,094t, down 2pc on the same period last year. Beef shipments to South Korea during August reached 18,047t – a sharp 11.8pc rise on July shipments, and a substantial 32pc rise on this time last year. Trade for the first eight months of the year has reached 109,940t, almost 15,000t or 15pc higher than the same trading period a year earlier. Again, that has occurred despite substantially higher US exports to Korea this year. The recent surge in beef trade into China continued in August, with shipments totalling 14,516t – a dramatic 119pc rise on this time last year, when tonnage was just over 6600t. See Beef Central’s recent item on this year’s big jump in trade into China. Year-to-date, China has absorbed 103,346t of Australian beef – mostly in frozen form – up 55pc on the same eight months in 2017. With four months of the trading year to go, China remains on track to go close to the record yearly volume shipments of 148,000t, recorded back in 2015. Among emerging markets, volumes to Indonesia last month reached 4873t, down 17pc on the previous month, and back 9pc on this time last year. Year to date volume to Indonesia have reached around 41,700t, about 20pc higher than the previous year, but the market continues to be pressured by cheap Indian buffalo meat at the commodity end of the trade. Trade agreements signed with Indonesia over the weekend hold promise to lift beef trade out of Australia, but the effect is likely to be seen more in offals than muscle meat, trade sources said. Similarly, the Middle East region continues to be well-serviced by price competitive South American imports, taking 3090t of Australian beef in August, about 10pc better than last year. Year to date the Middle East has taken 18,700t, down 3pc on the year before. Total exports to the EU countries reached 1700t in August, a large rise on July trade, but back about 15pc on year-earlier shipments. Year-to-date tonnage in grass and grainfed shipments has reached 11,000t, down about 9pc. Despite the headwinds of trade policy uncertainties, beef and other animal protein production is up in the US, and US meat exports have been strong, Rabobank’s recent Global Beef Quarterly Q3 2018 report said. US prices in the first half of 2018 held up despite increased production levels, but increased supplies of total proteins and potential trade fallouts are emerging concerns, the report says. Increased beef supplies and trade uncertainty look set to impact US prices in the second half of the 2018 year. The report identified a number of other important issues that are continuing to influence global beef markets, including increasing North Asia imports, looming margin pressure, and African Swine Fever outbreaks in China (see Beef Central’s earlier report). “There is a whole laundry list of issues creating uncertainty and market volatility in the US, most of which affect global beef trade,” Rabo’s senior animal protein analyst Angus Gidley-Baird said. Japan and South Korea beef imports from all suppliers were on the rise, with combined imports this year up 9pc on 2017. The availability of beef from Australia and the US was helping to fuel this growth along with improved economies and lower global beef prices. According to Rabobank, the US appears to be focusing more on South Korea, with exports year to date up 41pc, compared to only 6pc to Japan. The bank warned that margin pressure was starting to show in the market, and it expected to see more of this. The impact of the outbreaks in China of African Swine Fever could also have an impact with increased imports of pork and beef. Rabobank said an associated lift in global pork prices could also benefit beef supply chains in other regions.